This is Carmelina San Marzano in her most natural state - Pomodoro Perfection! Imported from the Campania region of Italy, these full-bodied, silky red San Marzano tomatoes are steam peeled and packed in their own succulent puree. 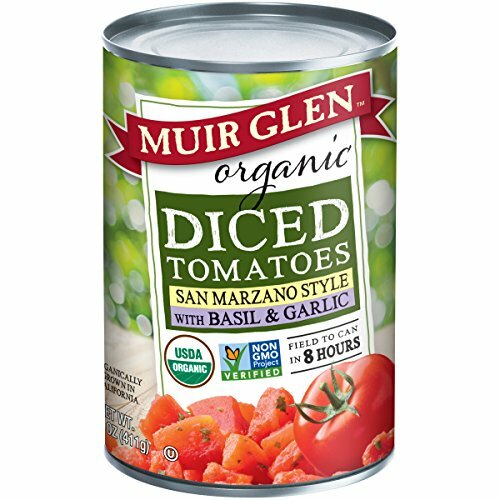 Sauté these tomatoes with a little olive oil, garlic and salt and pepper, garnish with parmesan and fresh basil for an easy, mouthwatering marinara in minutes. Also great for soups, sauces and stews. 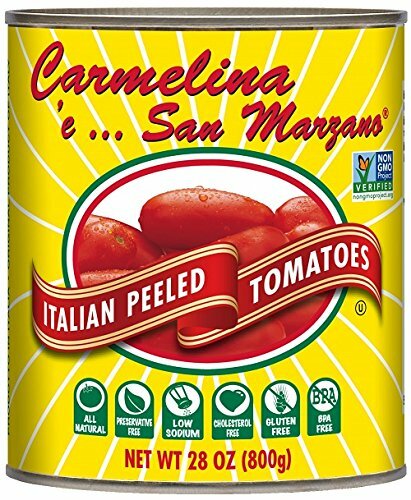 Carmelina San Marzano Italian Tomatoes are all-natural and contain no added preservatives like salt, citric acid, calcium chloride or EDTA. Non-GMO Project Verified, kosher, gluten-free, and BPA-Free. 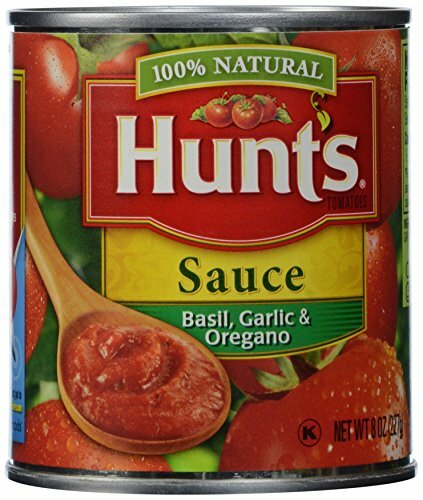 Hunt's uses FlashSteam® to peel our diced, whole, stewed, and crushed tomatoes—instead of chemicals like some other brands. But our natural steam peeling is only part of the story. From the very day they're picked to the time it takes to get them from the field to the can—it's all about the details. ABOUT CONAGRA Hunt’s is a member of the ConAgra Foods family, one of the largest packaged foods companies in North America with major presence in retail outlets, foodservice and restaurants, and in ingredients. Our more than 70 brands--which include favorites such as Pam, Hunt's, Healthy Choice, Wesson, Swiss Miss, Rotel, Peter Pan, Marie Callender's, Hebrew National, Wolf Brand Chili, Rosarita, Egg Beaters, Chef Boyardee, and more--are in 96% of U.S. households, and more than 30% of ConAgra Foods brands are number one in their category. In mountainous Abruzzi, big appetites are served in a tradition of multiple course meals. Here, the bold flavors from fresh onion and fresh garlic are combined with savory sausage and peppers to create a hearty tomato sauce. 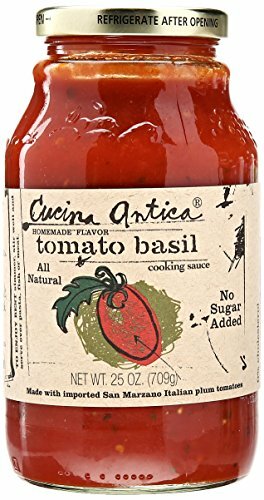 Cucina Antica’s Tomato Basil sauce is what Chef Neil calls the “new marinara”. It’s simple yet light, fresh tasting flavor makes it the new kid on the block. Unlike most marinara sauces, our Tomato Basil has no garlic, only onions, yet it has the robust body of any marinara while maintaining its subtle fresh and light lingering flavor. Make a simple sautéed zucchini with a ladle of the Tomato Basil and toss over your favorite pasta or chicken dish. 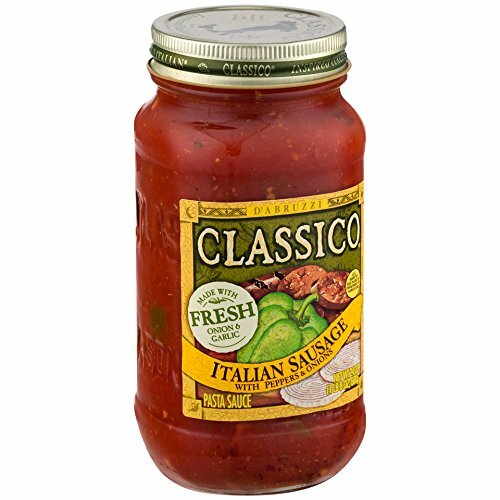 This is the best sauce for vegetables, chicken, veal or eggplant parmigiana. If you are not a fan of garlic, use this sauce for making lasagna. 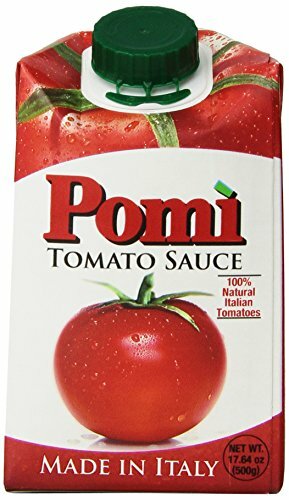 Pomi strained tomatoes was created in 1935… In 1982, Pomi the tomato revolution, was introduced successfully in the U.S. Pomi quality and convenience has been appreciated by millions of consumers. Since its introduction Pomi has become a staple and a trusted brand for all those who seek premium quality, Italian tomatoes conveniently ready to use and in an aseptic package that is BPA-free, to add the fresh taste of garden-ripe, Italian tomatoes to all their favorite recipes. 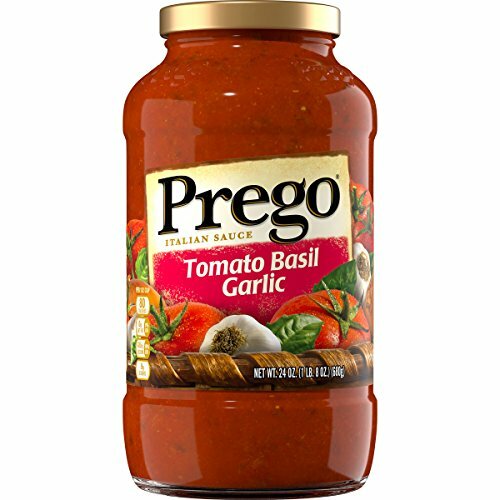 Prego Tomato Basil Garlic Italian Sauce gives the sweet and savory flavors of vine-ripened tomatoes, basil and a hint of garlic. Enjoy this classic blend of ingredients with pasta or as a base for your family-pleasing recipes. This is what Chef Neil calls the "new marinara". Its simple yet light, fresh tasting flavor makes it the new kid on the block. Unlike most marinara sauces, our Tomato Basil has no garlic, only onions, yet it has the robust body of any marinara while maintaining its subtle fresh and light lingering flavor. Make a simple sauteed zucchini with a ladle of the Tomato Basil and toss over your favorite pasta or chicken dish. 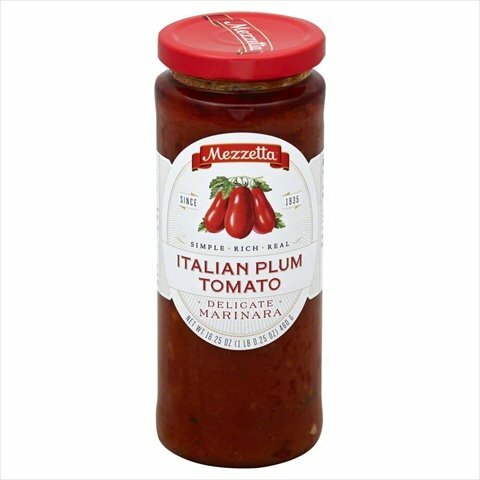 This is the best sauce for vegetables, chicken, veal or eggplant parmigiana. If you are not a fan of garlic, use this sauce for making lasagna. Mutti finely chopped tomato is the result of the harvesting and processing of only Italian tomatoes, ripened under the warm Mediterranean sun, harvested and processed on the same day to preserve their freshness and fragrance. Mutti finely chopped tomato is recognized as a superior quality product that stands out from the average product on the market. Precisely because it is finely chopped. 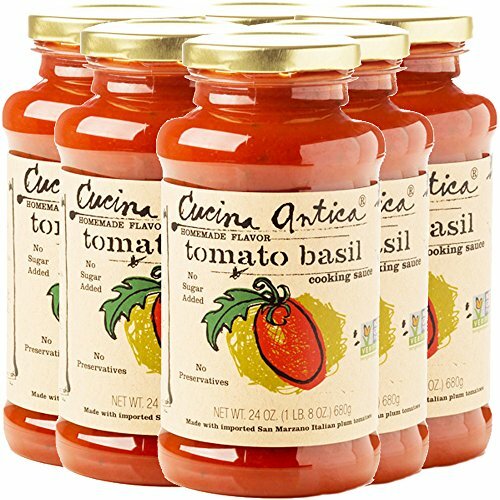 Appreciated for its consistency, so that it is the tomato pulp preferred by Italians, it combines and blends well in any type of dish. According to the cooking school findings, Mutti finely chopped tomatoes is a very balanced product with a high level of olfactory intensity, altogether a product that gives the right flavor, fragrance, and aroma to any dish prepared. 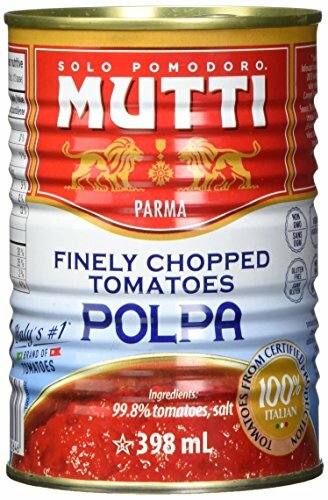 Thanks to the quality of the tomato, with no preservatives or flavorings added, Mutti finely chopped tomato maintains all its characteristics of wholesomeness and freshness even after cooking, both on the stove top and in the oven, retaining all the aromas and fragrances of the Mediterranean tomato. Copyright © Wholesalion.com 2019 - The Best Prices On Italian Tomato Sauces Online.